Last week, I bemoaned the creeping entrance of spring and lack of flowering trees. This week, the local flora decided to prove that they were not entirely beaten. 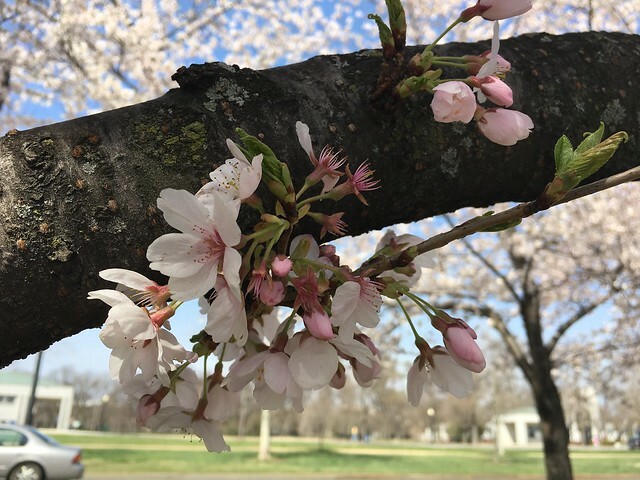 Sunday, our local cherry trees reached official “peak bloom” and Monday, after a gloomy morning gave way to a gloriously sunny afternoon, I decided to take a little walk and view the blossoms. 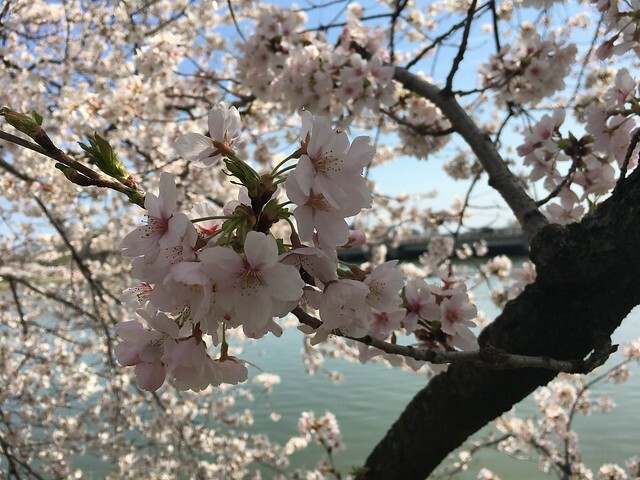 I made my way down to the sidewalk that winds around the Tidal Basin and watched as a relatively scant group of tourists took photos and just generally enjoyed the beautiful setting. All around me, trees had burst into bloom, with only subtle reminders of the departed early brethren who were lost in our late snowstorm. The remaining blossoms still made a lovely picture, and so I took a few. 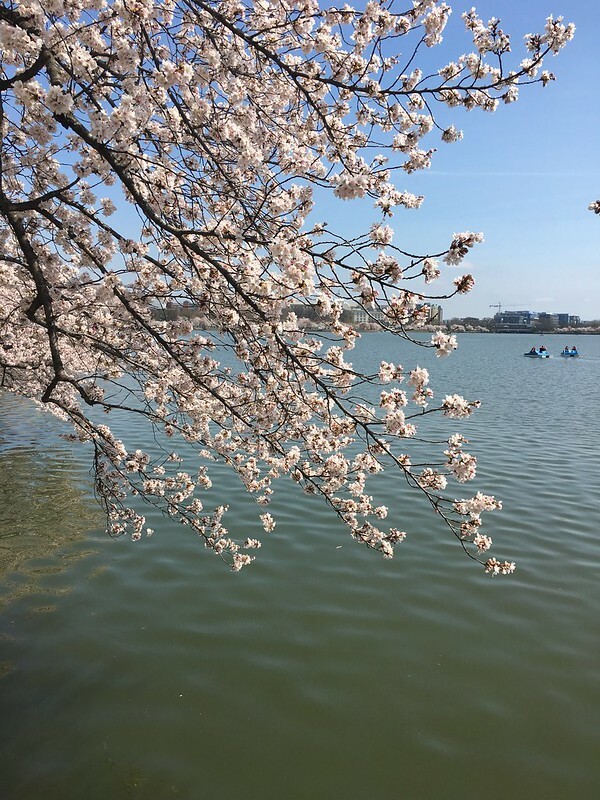 The cherry blossoms against the blue-green of the water and the azure blue of the sky reminded me of old paintings. 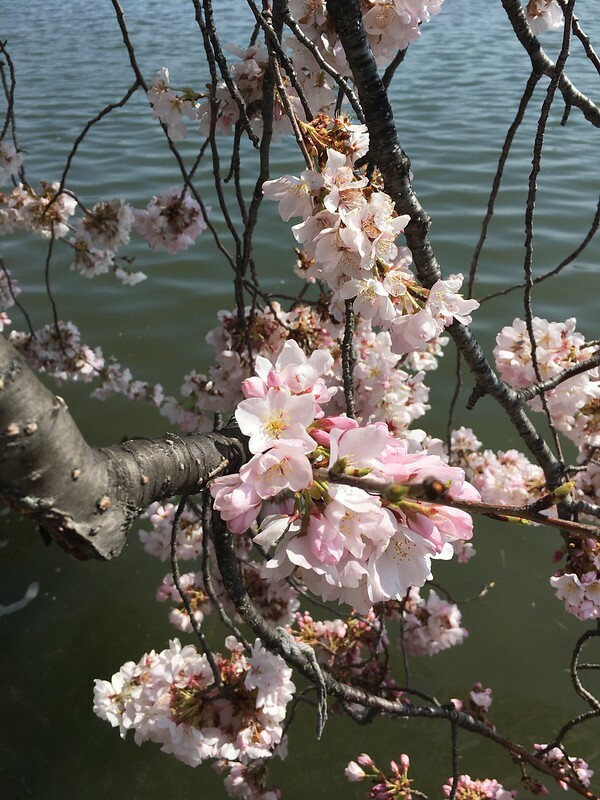 Gnarled branches punctuated with pink and white stood against their backdrop like impressionist almond blossoms . Of course, I gave in to the temptation to take selfies in the blossoms, but the bright sunlight meant that few of them turned out well. I tended to have that little worried crinkle between my eyebrows as I tried to withstand the brightness of the day. 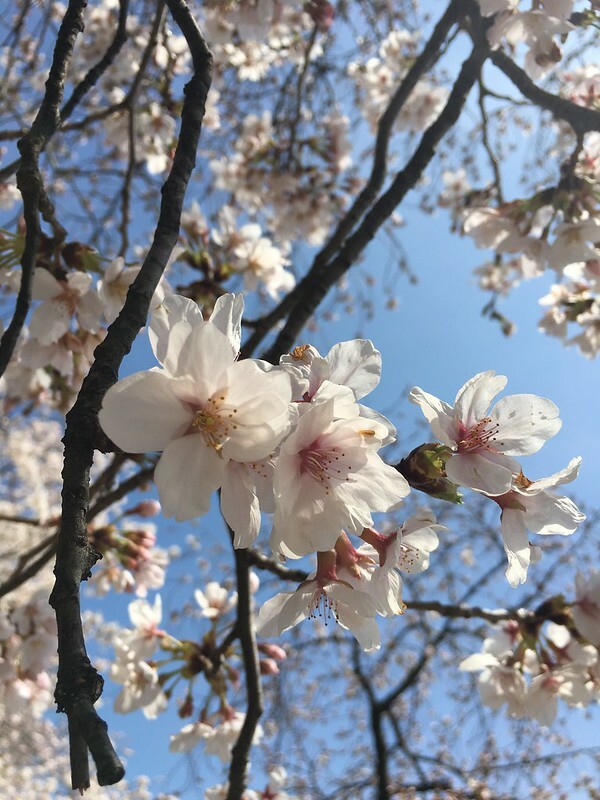 But all in all, the day left me warmed, relaxed, and with a renewed sense of peace after seeing the beautiful reminders that no matter how long the winter, spring will come eventually. And it has left me in the mood for cherry blossoms in everything. Perhaps I shall go on a quest later for some sakura sweets.